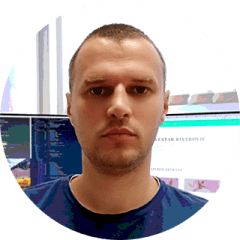 I am Silvestar Bistrović, fearless web developer, CSS craftsman, JAMstack enthusiast, and WordPress theme specialist. I enjoy creating pixel-perfect, responsive, and modern websites. My focus is on delivering the best experience for users on every device. Making faster, lighter, and more secure sites using WordPress or Static Page Generators is my specialty. When I am not coding, I like to write new articles on my blog. I am working as a freelance web developer, and I am working remotely from my office in Osijek, Croatia. If you want to get in touch, fill the contact form or send me the email. P.S. You could download my CV here.